Godolphin trainer James Cummings admitted his frustration as Kementari found one better again as Manuel caused an upset in the Group 1 CF Orr Stakes on Saturday afternoon. Kementari looked in a good position to take the win, but his turn of foot was not good enough to match Manuel, who won by half a length for trainer Tony McEvoy. A horse with his talent, it is frustrating not to saddle him up a winner every time he steps out. Cummings was happy with the run of Kementari, who dead-heated for second with Land Of Plenty, but was frustrated as the losing sequence continued. Kementari has not won since March of last year, but Cummings is trying to stay optimistic and hopes a win is just around the corner. "A horse with his talent, it is frustrating not to saddle him up a winner every time he steps out," Cummings said after the 1400m Group 1 at Caulfield. "He has just managed to find one a bit better today. But he has run really well and he will be good again second-up. "I'm now looking at running him in the (Group 1) Canterbury Stakes." Meanwhile, the Manuel camp were ecstatic with the front-running performance of their gelding. McEvoy was in Sydney, but his foreman Michael Shepherdson said even though the Caulfield track was a good (4), some morning showers helped. "A bit of edge off the track today really brought him into the race, combined with a good barrier," he said. "He had to take a big jump and he did. He jarred up a bit after his last run but he was brilliant today." Meanwhile, The Autumn Sun is 999/1 on a win and each way bet to win the Australian Guineas next month with Mystic Journey 3/1. 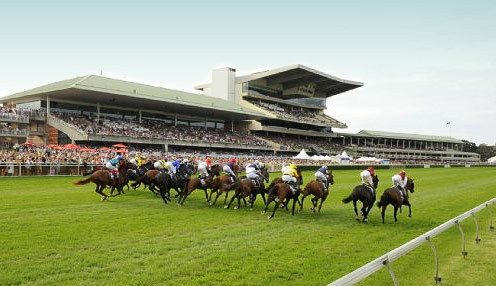 A week later, in the Australian Cup, Avilius is 4/5 to win with Best Of Days 16/1.